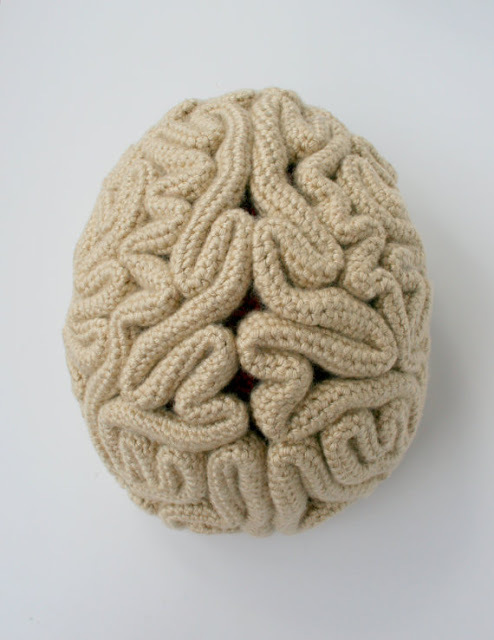 a crochet pattern from candypopcreations for a brain hat! Check it out here. 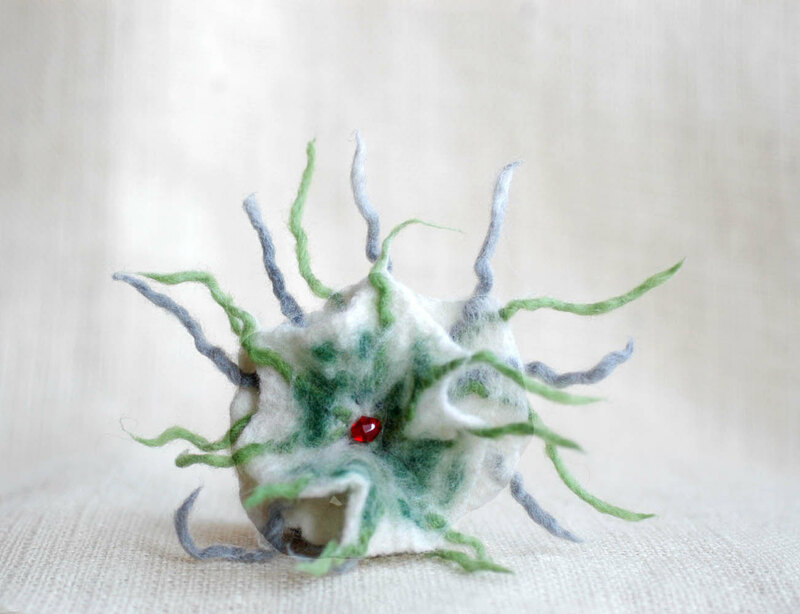 And isn't this the most amazing little sea life looking plant brooch? 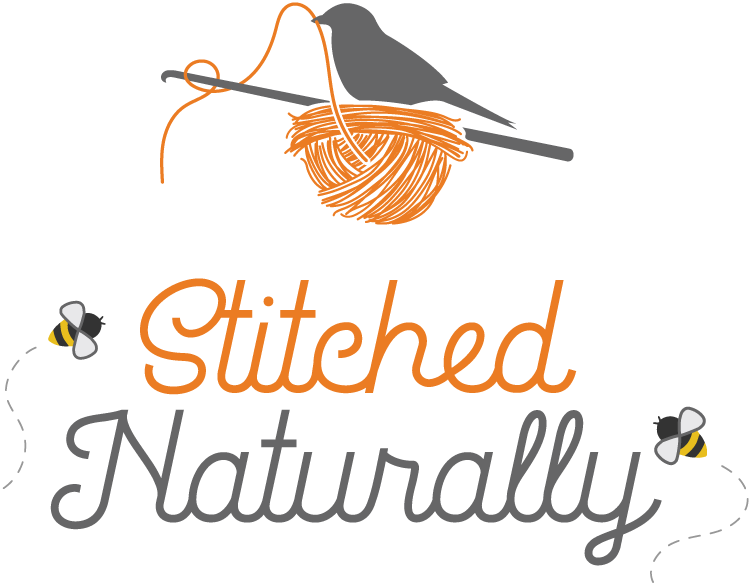 It comes from City Crochet. The sweetest little mouse by Felting Dreams--out on the town with his backpack and purple-buttoned jacket. So sweet!! You must check out all of the sweet little mice in that shop! I want every one of them. 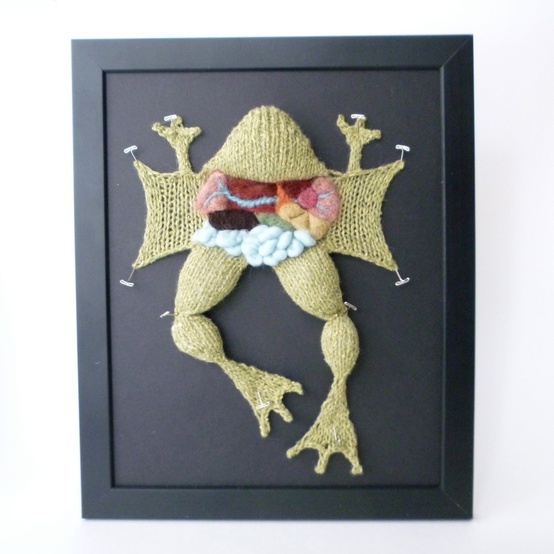 And finally, this amazing knitted version of a frog dissection. I have done so many real dissections in my life (earthworms, cats, birds, snakes, frogs, sharks, dogs, sea stars, crayfish, grasshoppers, fish, sea urchins, rats, and yes, humans) throughout college and when I taught Zoology that the "grossness" of dissections doesn't even phase me. 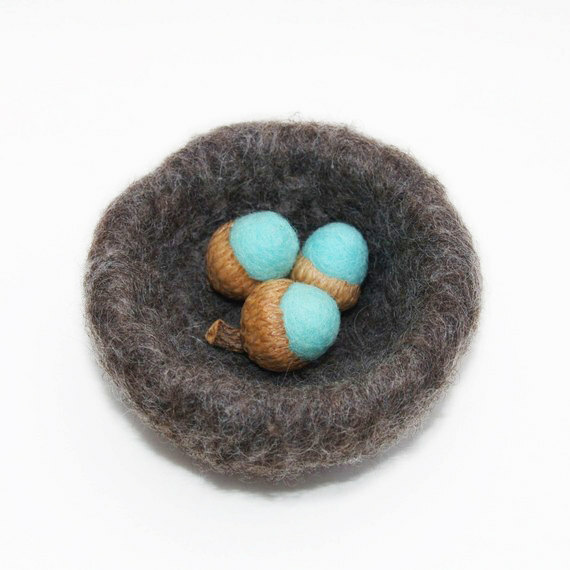 But for someone who gets creeped out by them, or who really appreciates the fiber arts--this is just the ticket! How surprisingly accurate it represents the internal structures. Yes. I am not just a crochet nut, but a science nerd, too! Now you know. That's all for now. Hope you had a little fun with me! The mouse is my favorite, but I think the virus is awesome! I know you are so happy to be my friend--even though! I can't wait to hear about your photography class! 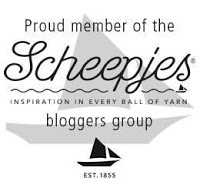 Will you share some great tips with me? I know what a great designer/artist you are because you make your home so beautiful! what really attracts my interest are both the brain hat and the frog dissection!!! At the same time they really "disgust" me : so strange feelings together!!! I find really interesting all the discoveries in genetic medicine, moreover when they find the way to stop diseases that were thought impossible to fight!! I, too, am so fascinated by genetics and the amazing ways that knowledge can be used to fight diseases and improve our lives! I study cultural anthropology. No one seems to speak the language. Bah dum dumph. 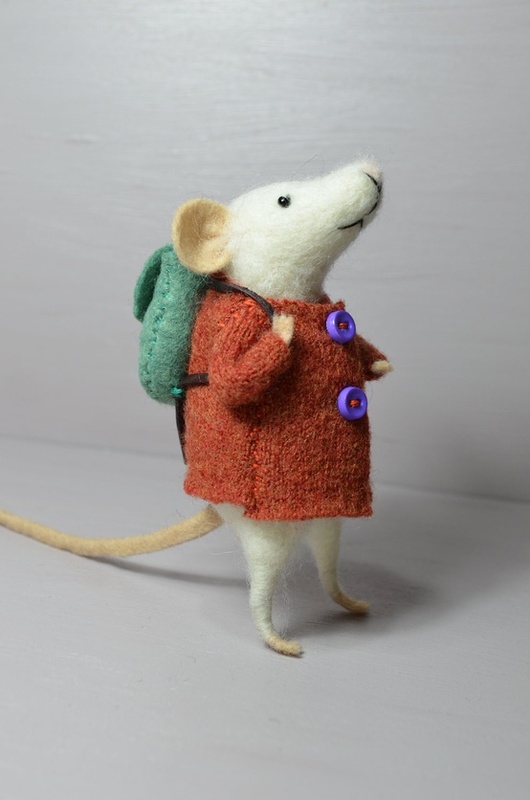 Can I say I'm in love with a mouse (see your felted Stuart Little) and it still be PG?